Rahul Gandhi announcing a new pilgrimage adds to his list of ‘temple runs’ which have continued over the last three years, which intensified during the Gujarat Assembly elections in December 2017. 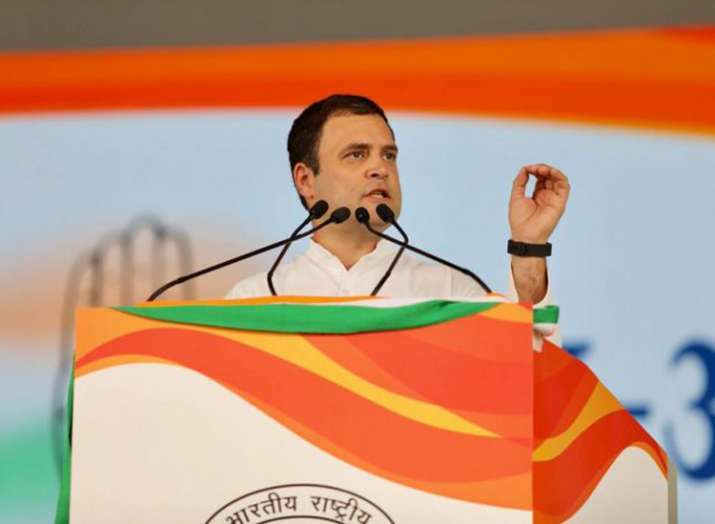 Congress President Rahul Gandhi on Sunday announced that he will go on a pilgrimage to Kailash Mansarovar post-Karnataka Assembly polls, saying that the thought struck him when he was travelling to the state in a chartered aircraft that suddenly came down by 8,000 feet four days ago. After he ended his half-an-hour speech at the 'Jan Aakrosh' rally here, Gandhi, who has often talked about being a devotee of Lord Shiva, took to the mike again to seek the "permission" of Congress workers, saying he will need 10-15 days to carry out the yatra. "A few days ago, we were on our way to Karnataka in an aircraft. And the aircraft suddenly came down by 8,000 feet. I thought 'gaadi gayi' (that it was all over), he said in his first public comment on the incident. "The moment I thought that it was all over, it struck my mind that I have to go to Kailash Mansarovar. So, I would require your leave of 10-15 days after the Karnataka Assembly polls, he told the gathering at Ramlila Maidan. On April 26, the plane carrying Gandhi and some others from here to Hubballi airport in Karnataka developed a technical snag when it tilted heavily on the left side and the altitude dipped steeply with violent shuddering of the aircraft body at 10.45 AM, his close aide Kaushal Vidyarthee wrote in a letter to state Director General of Police Neelmani N Raju. Vidyarthee was also travelling with Gandhi. The plane landed at the Hubballi airport at 11.25 am in the third attempt on that day. The Congress demanded a probe by the state police and the Directorate General of Civil Aviation into the "suspicious and faulty performance" of the aircraft before landing. The next day, the DGCA set up a two-member panel to probe the technical snag in the plane even as Civil Aviation Minister Suresh Prabhu said appropriate action would be taken if anyone was found wanting after the opposition party alleged foul play.